Driving under the influence (DUI), Driving while intoxicated (DWI), and other drunk driving offenses, such as breathalyzer refusal, carry serious repercussions such as heavy fines, loss of license, and even jail time. Being able to operate a vehicle in today’s society is very important and absolutely crucial. Being charged with Breathalyzer Refusal and / or DUI can jeopardize your privilege to operate a vehicle in the State of Rhode Island. Few people charged with these offenses know or are informed that having a license to operate a vehicle is a privilege and not a constitutionally protected right. These cases can be the most challenging because they affect one’s’ driving privileges as well as an individual’s criminal record. 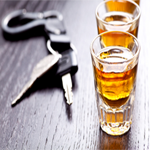 At Schreiber & Schreiber, we provide strong representation for all those charged with DUI. We scrutinize the STOP, the officer’s observations, and especially the results of any standard field sobriety test. ALL procedural requirements MUST also be followed. Schreiber & Schreiber has been fortunate enough to have hundreds of charges dismissed due to fatal flaws on the part of the prosecution or other reasons as well. Only an experienced attorney with the proper training and trial preparation will protect your rights. Don’t be fooled by unkept promises. Attorney Kenneth Schreiber will protect your rights by providing you with the most aggressive advocacy possible. The legal limit for blood alcohol content (BAC) in the State of Rhode Island has been reduced to .08. Higher readings provide higher penalties. Schreiber & Schreiber Law deals with cases including those where the client chooses to refuse a breathalyzer test. Most times when an individual refuses a breathalyzer or blood test, they will be charged with DUI as well. It is important to note the refusal is a civil charge, while the DUI is a criminal charge. There are mandatory penalties associated with each offense and depending on the circumstances of your case as well as the ability to argue your defenses, you may receive a lesser charge as part of our disposition or a greater imposition of sentence, including loss of license. That is why choosing a lawyer is so important. It is important to reiterate the distinction between a DUI criminal charge and a refusal charge which is civil. One involves your driving record. One involves your criminal record. The Attorney General handles ALL breathalyzer refusals, while a first or second offense DUI is prosecuted by the corresponding town or city or the Attorney General if it involves the state police or a state agency. First Offense DUI charges are heard in the District Court of Rhode Island. There is no jury, only a Judge. If you choose to have a trial, you may appeal your case to the Superior Court, where anything that transpired in the District Court is irrelevant, with the exception of testimony received under oath. The fact that you may have been convicted is not to be considered in the Superior Court and you may receive what is called a Trial De Novo which means you will get a “second bite at the apple.” If one chooses to plead to a DUI in the District Court, that individual is exposed to mandatory sentencing which carries compulsory loss of their driving privileges. Second Offense DUI jurisdiction is also in the District Court of Rhode Island, however, the defendant is exposed to a mandatory ten days of incarceration, while also increasing penalties associated with any conviction. The same rules apply to any trial where a defendant is convicted with respect to appealing your case to the Superior Court as stated above. Third Offense DUI is a felony. Jurisdiction lies within the Superior Court as opposed to the District Court and carries a mandatory one year incarceration as well as other mandatory increasing penalties for any conviction. Here, you are entitled to a jury trial. At Schreiber & Schreiber Law, we understand the seriousness of facing a DUI and/or a Breathalyzer refusal charge. We have represented thousands of individuals. Fighting and protecting your rights is the first line of defense. An aggressive representation will result in the best possible outcome. While we make recommendations after reviewing all of the evidence, including suppressing evidence which the prosecution may want to introduce at trial, it is the client that makes the ultimate informed decision. Again, a major distinction between our representation and those of others is that you will know all of the strengths and possible weaknesses of your case and all the options available before making an informed, knowledgeable, and intelligent decision. In the event your decision includes going to trial, which is something Schreiber & Schreiber Law does on a daily basis, advocating zealously and pursuing the interest of justice for all of our clients, especially those that choose to pursue their right to a trial. Organization, preparation and commitment is what leads to a favorable result. Please see our testimonials and results of our most recent cases which offer some insight into our commitment to our clients. Disclaimer: The information on this website is for general information purposes only. Seek legal counsel for advice on any legal matter. The Rhode Island Supreme Court licenses all Lawyers in the General Practice of Law. The court does not certify any lawyer as an expert in any field of practice. 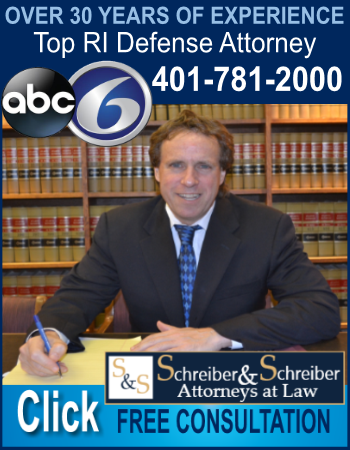 © Schreiber & Schreiber Attorneys at Law.